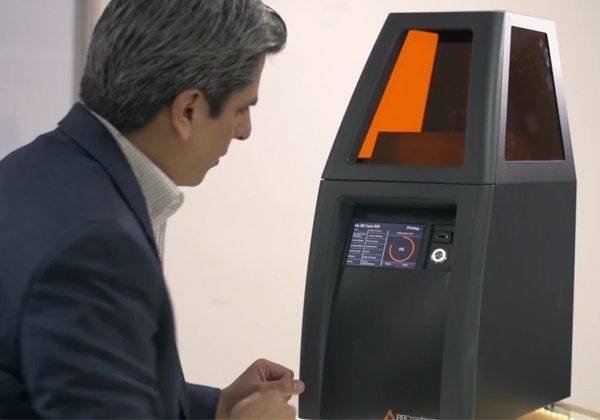 We listened – and our software engineers went to work on our latest B9Create update for our free, downloadable 3D printing software. While we continually fix bugs, incorporate new controls, and add features, these new changes could be central to your workflow and streamline how you operate, increasing productivity and easing your workload. 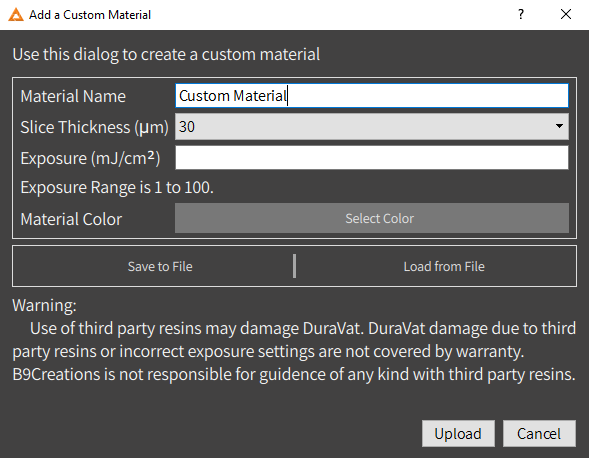 Our biggest update in Software Version 1.0.15 is a feature that allows custom material settings, offering you even greater flexibility in design and production. Users can now apply their own settings – allowing use of third-party materials. All it takes to create a new setting is a little information on your part – slice thickness, exposure, and material color. This update makes it easy to use any material on your B9 Core Series – even resins other than our B9R line. The ability to rename files that are being transferred to the printer via USB. The ability to delete custom materials from printer. A fix that ensures successful toggling between translations. A user settings page in the Print Editor that allows users to invert scroll, invert camera drag, disable left click, and set default tool. A Custom Supports settings page so users can define their own light, medium, and heavy supports. A feature that highlights model names in red when the software doesn’t think they are attached to the build table. A feature that allows users to Print Preview slices even if they don't have the STL for the model if the model was previously sliced. A changed notation of X & Y rotation to A & B to reflect that the rotation is model centric rather than globally coordinated. A feature in Print Editor that allows users to lock the axis while orienting by holding down shift or ctrl. A feature in Print Editor that allows users to minimize the program while it is slicing or adding a large model. A fix in Print Editor that ensures Print Preview stays usable after going full screen on Mac. A fix in Print Editor that ensures model position Z displays the correct number when snapped to the floor. A fix that limits the maximum size of the “busy” spinner. Check our Software Change Log for full details on our software updates. NOTE: Printing with non-standard materials in the B9 Core Series will void the B9 DuraVat warranty.